LD 31 was my 3rd Ludum Dare. I was pretty proud of the game I created and how I ranked. I did not make the top 100 in any category, but I did get into the top 200 for both mood and overall. 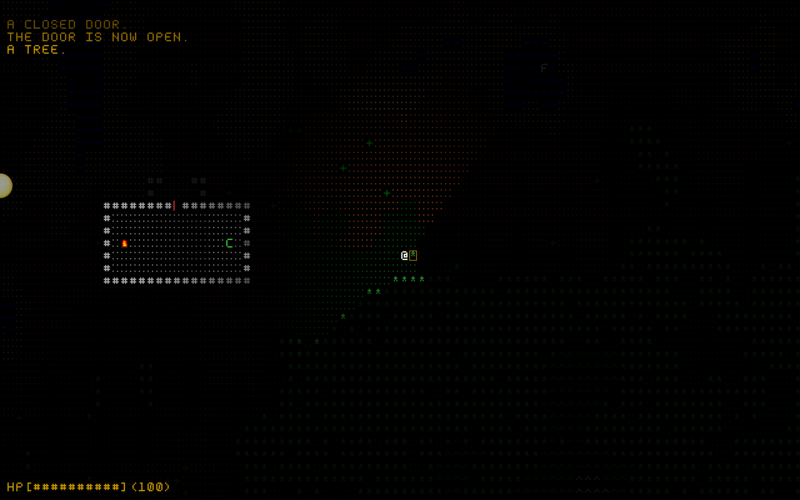 I created a roguelike survival game called “Amiss”. I drew inspiration from the second season of the TV show Lost. In Amiss, you must enter 3 numbers into the computer every 3 minutes or the world comes to a very loud end. I am a little saddened that I didn’t do better with the theme, the entire game depends on you entering those numbers on one screen, but c’est la vie. Other than the necessity of entering these numbers every 3 minutes, the only survival elements I was able to add was finding, killing, and cooking pigs as well as drinking water. I wanted to build a mining/crafting system similar to Rust but I didn’t get too far. There is deep and shallow water. 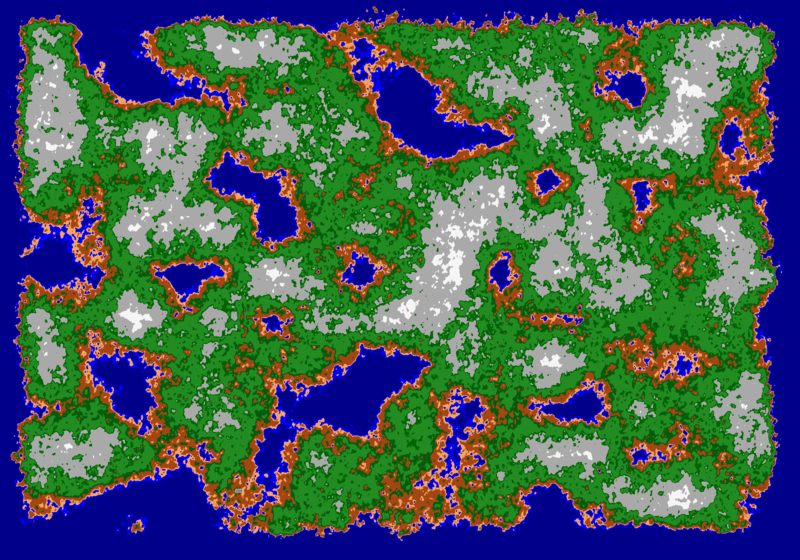 Deep cannot be traversed, and that is how I am keeping the player on the island. The initial house holding the fire and computer is randomly placed based on ground clearance to trees and water. The reworked line of site system looks a bit better than my original. Below is a screenshot of what I have so far. I’ve found an awesome bit of music courtesy of Kevin Macleod that I am going to use to set the mood. With all that said, I have hit the wall. I realize I haven’t invested enough time thinking about the story and how to keep the player engaged. I am going to work on that now before I continue building the engine. Maybe I’ll need to throw it all out again before I get it done :/. If you have any ideas for me let me know :). Looking forward to the next Ludum Dare! This entry was posted on Sunday, January 18th, 2015 at 8:09 pm	and is filed under MiniLD. You can follow any responses to this entry through the RSS 2.0 feed. You can skip to the end and leave a response. Pinging is currently not allowed. No ideas for the game, really, but I can say that you shouldn’t be worried about throwing out the engine to start from scratch. I personally find that starting completely (or almost) from scratch can yield better results because you’ll always be able to more easily fix problems you had in the past. Yeah sure you’ll introduce new ones, but hopefully they’ll be easier to tackle. If not, rinse and repeat is what I always do. Totally tedious, but I’ve been progressively changing and rewriting a lot of my large projects for a while and they’re all significantly better than they ever would have been the first time around. I can definitely say that about two in particular: my game library and my scripting language. Neither of those have been anywhere near perfect, but in every iteration of them I’ve learned and fixed, and they’ve become pretty pleasing. I still need to work on structure in the game library and speed in the scripting language, but for the most part every iteration has yielded better results. So I guess what I’m saying is if you feel like rewriting your engine has benefits then it definitely does and I’d recommend doing it Best of luck, it looks good so far!